my husband will love this one! 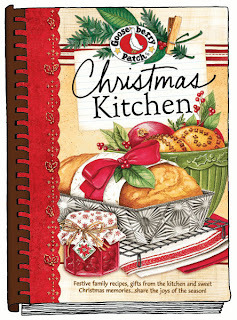 I would love to win this cookbook, I just love Christmas and Gooseberry Patch cookbooks. I saw this on facebook, my email is curlyrose49@bak.rr.com, hope I win this one!!!! I really enjoy all the recipes u have shared from this cookbook! Of course I enjoy any of the cookbooks from gooseberry patch they r so yummy and usually pretty easy and so family friendly!!! Would love to win them all or b a participant in trying out recipes from a new cookbook!